Planning a Tanzania vacation is no small task. We can help. Please complete the form below and we’ll begin the process of creating a customized itinerary. We look forward to speaking with you soon. If unsure, you must select an approximate date so that we can give you an accurate budget based on a particular month and year. Thank you. How many nights in Tanzania? Please only indicate number of nights to be arranged by Access 2 Tanzania. How many ADULTS in your group (age 16 and older)? How many CHILDREN in your group (age 15 and younger)? Please specify the ages of the CHILDREN in your group who will be age 15 and under at the time of travel. This helps us determine what lodging discounts can be applied to your quote. 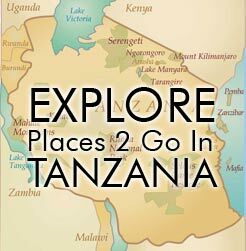 Please specify the budget for the portion of your travel to be planned by Access 2 Tanzania. If referred by past A2T client, please indicate the client name or their safari consultant's name (Casey or Karen) here.